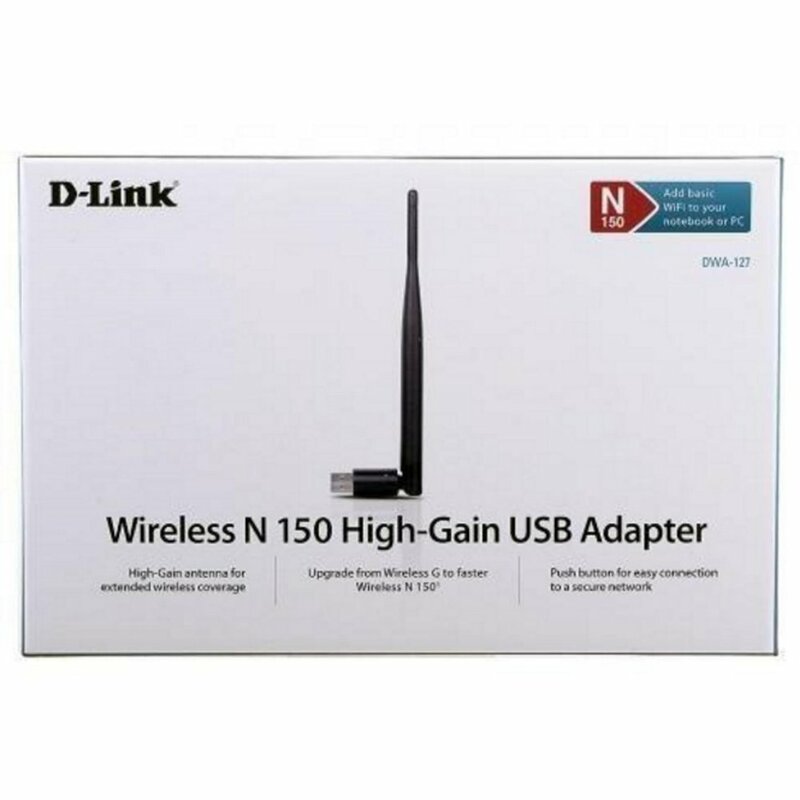 Connect to your wireless home network by adding a D-Link Wireless N 150 High-Gain USB Adapter to your notebook or desktop computer. Once connected, you can share a high-speed Internet connection and access shared documents, music, and photos from other computers on your network. This highpower antenna provides boosted wireless signal and coverage, giving you a stronger and more reliable connection. Connect to a high-speed wireless network with the D-Link Wireless N 150 High-Gain USB Adapter and enjoy surfing the web, checking e-mail, and chatting with family and friends online. 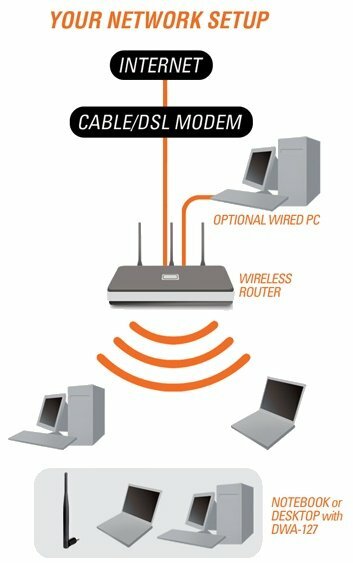 The DWA-127 uses Wireless N 150 technology, which offers faster speeds and greater range than 802.11g/b,1 providing you with a faster and more reliable wireless connection. 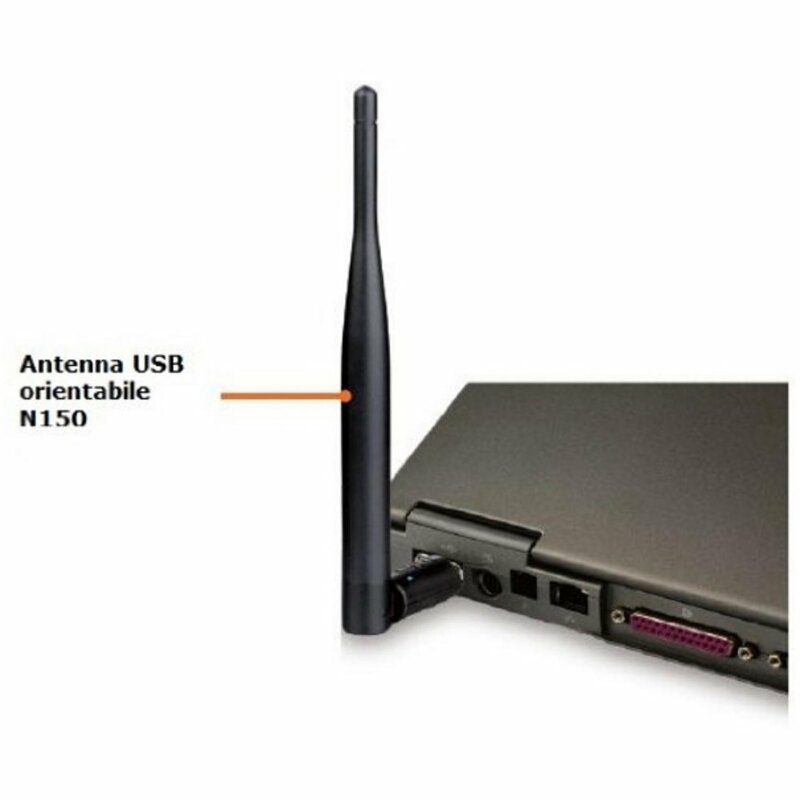 To protect your data and maintain your privacy while surfing the web, the Wireless N 150 High Gain USB Adapter supports WEP, WPA, and WPA2 encryption which enable you to connect to and access a secure wireless network. This allows you to securely shop and pay online and check e-mail with confidence.